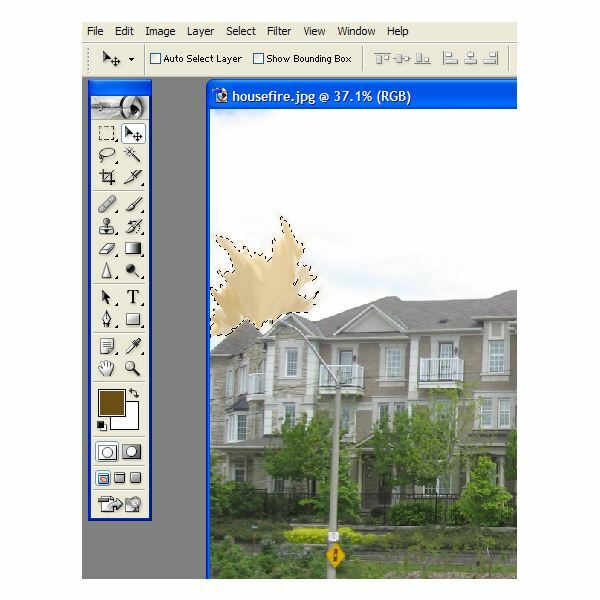 Let’s take a photograph of a house and open it up in Photoshop. Once the house is imported, go to the "Layers" palette and add a layer for the flame to be created. 2. Select the flames then go to the "Filters" menu. Go to Filters > Render Cloud. This will mix your colors slightly. Now deselect the flames by right clicking and selecting "Deselect." Go to Filters > Blur > Gaussian Blur. Set the "Distance" to "56 pixels", and click OK.
3. Now we want to add some color and depth. Let’s add another layer and repeat the same step, but this time we will use the color yellow on one layer and black on the other. 4. 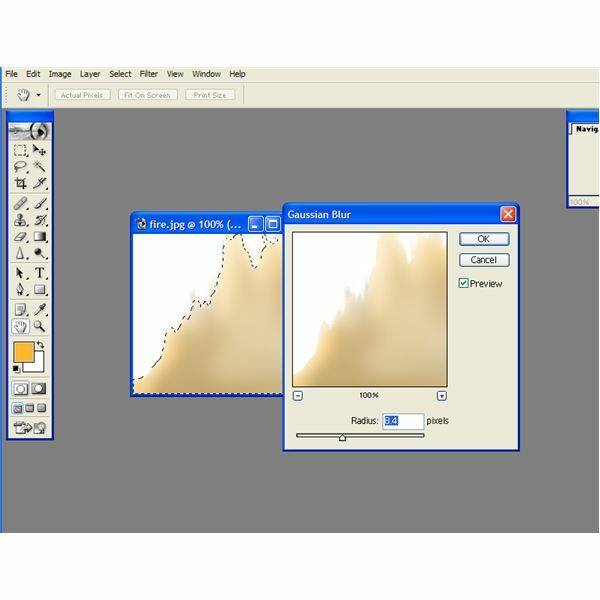 Once you have repeated the "Gaussian Blur" application for both layers, select the "Smudge" tool and gently brush the colors on each layer, in a swayed upward direction. This direction should resemble a flickering fire. 5. 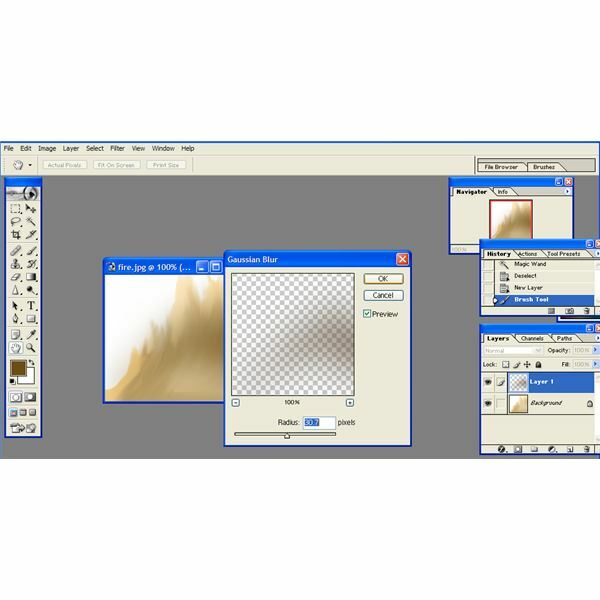 Go to the "Gaussian Blur" for a finished touch. 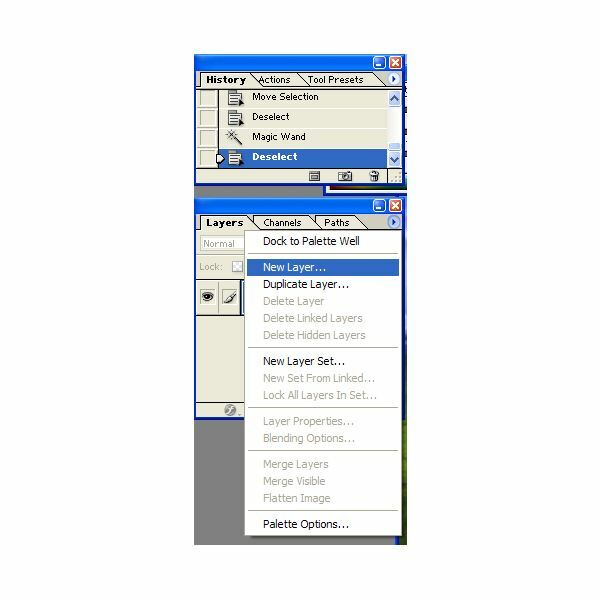 Now you can flatten the layers containing the flames by going to the "Layers Merge Visible" tool. 6. Now that you have your flame, you can place it in an area of your choice to emanate from the roof of your house. If you choose to position it on different parts of the roof, you will duplicate it by right clicking on the "Flame" layer and selecting "Duplicate Layer." Now using the "Move" tool slide the flame to the appropriate location of your roof. 7. For variation, let’s change the size of the flame and place another flame on a different section of the roof. Duplicate the layer once again, and go to Insert > Transform > Scale and then downsize the flames. Move the flame to another portion of your rooftop. If you are primarily a traditional artist, you can add flames with Photoshop’s "Brush" and "Lighting" tools. 1. Let’s start with going to Import > File and then selecting the "Brush" tool. Type "20" in the "Brush Size" field. Ensure that the foreground color is set to orange. Now paint an abstract flame shape. Add a transparent layer to this flame, by right clicking on this layer and selecting "Add New Layer." 2. Select the color yellow and proceed to paint over the flame, focusing on the middle and sides of the flame. 3. 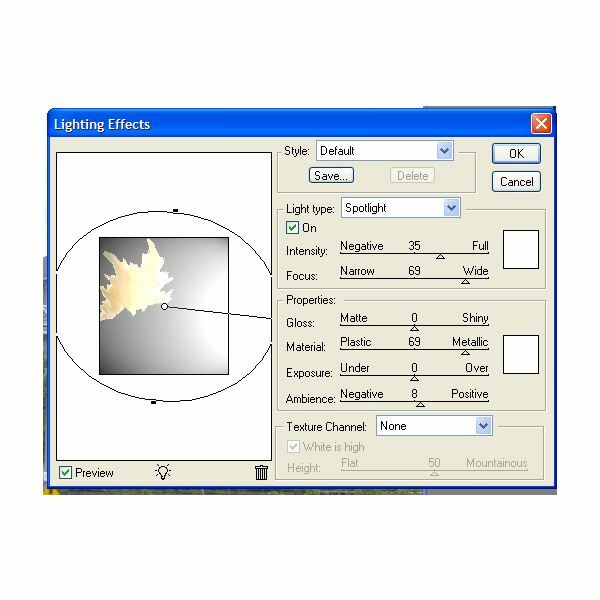 Go to Filter > Render > Lighting Effects. Rotate the "Oval" tool on the left to point in the direction of the flame. 4. For the final touch, let’s work on our flames again with the "Smudge" tool. Sweep the "Smudge" icon in an upright direction to give it a natural flickered look. Now we can move our flame to the desired location on our roof, as we did previously. Congratulations! You have created a flame emanating from a burning building.